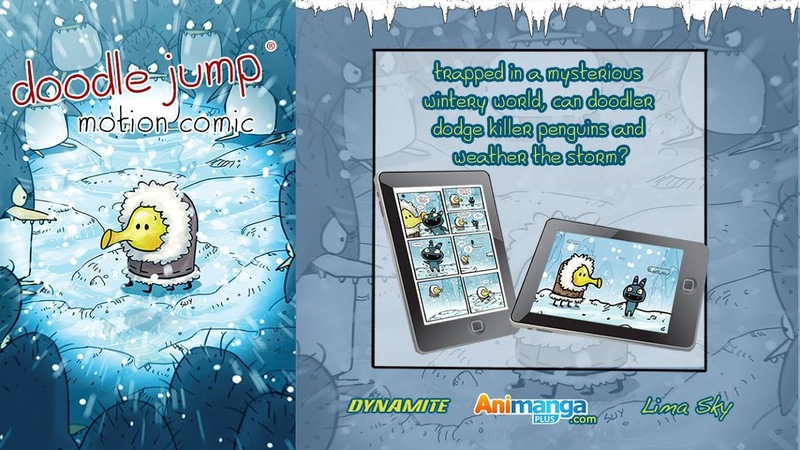 Issue 1: In Doodler's first adventure, he finds himself ejected onto a snowy mountain populated by killer penguins. Along with his companion, the spritely being known as Triple, Doodler jumps for his life. They flee from the penguins, avoiding Black Holes to complete their mission. 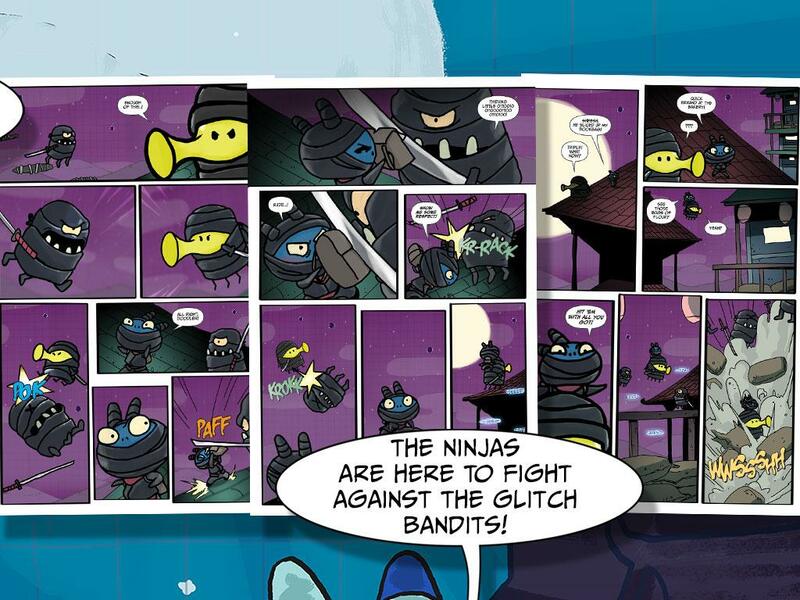 Issue 2: Our hero Doodler and his new pal Triple find themselves in a shadowy ninja world. They're in for a few unwelcome surprises - unless they can pull together as a team! Written by Meredith Gran (Adventure Time: Marceline and the Scream Queens) with fantastic art by Steve Uy (Avengers Initiative, JSA Classified). 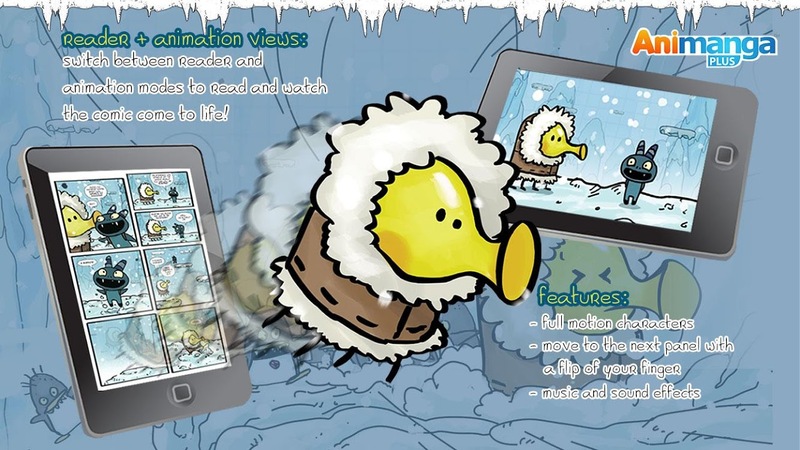 Doodle Jump, first released in 2009, is one of mobile gaming's most successful titles, and has earned continual praise for its excellence in innovation, performance and user experience. It's addictive yet accessible gameplay has made it a must-have classic and the #3 All-Time Top Paid iPhone app. Described by some as "Pac Man meets Ugly Dolls," Doodle Jump is everywhere...from prime time sitcoms (BIG BANG THEORY) to Late Night TV (JIMMY FALLON) to a fashion accessory for pop stars (LADY GAGA). 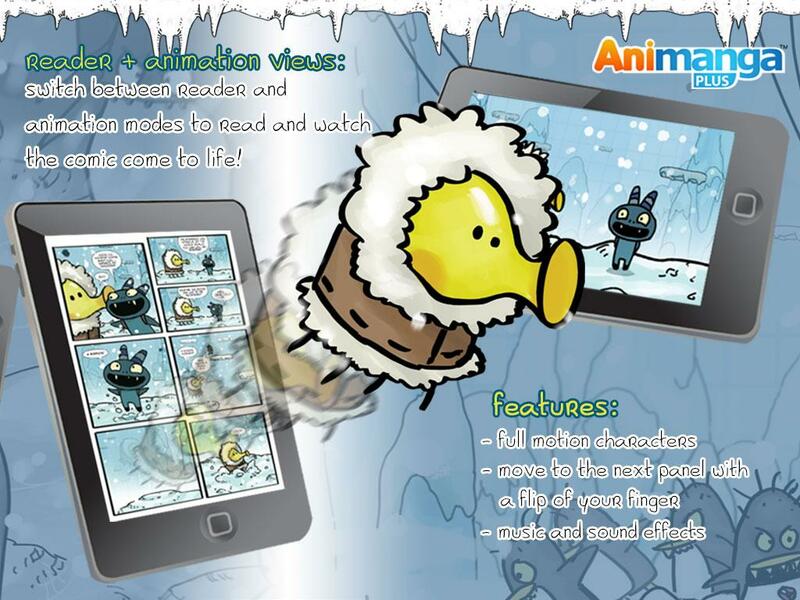 About Animanga PLUS From static print to dynamic moving pictures, Animanga PLUS apps bring you an engaging animated and interactive version of your favorite Doodle Jump comic book or graphic novel for your mobile devices. 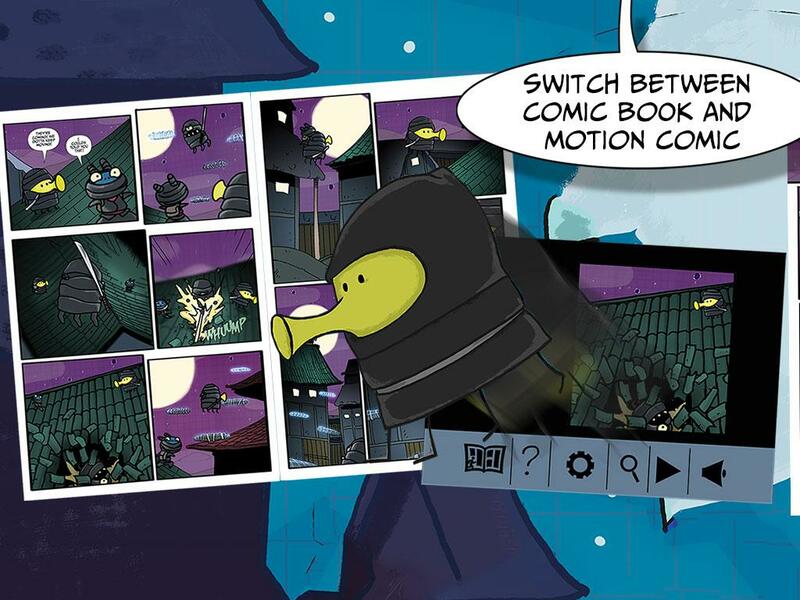 In Reader View, read the story as it was intended for print page by page, while in Animated View, see the story come to life as the story is animated panel per panel. • Over 22 pages! 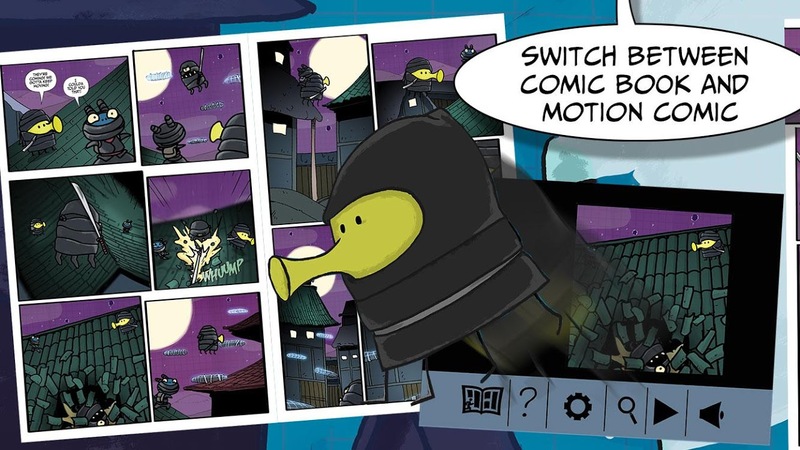 • Reader + Animation Views: Use reader mode to read the graphic novel or switch to Animated mode and watch the motion comic come to life! • Animated characters • Move to the next panel with a flip of your finger • Background music and sound effects ************************************************************************************* Don't forget to check out our other apps: Johnny Test: <a href="https://www.google.com/url?q=https://www.google.com/url?q%3Dhttps://itunes.apple.com/us/app/id960384718%26sa%3DD%26usg%3DAFQjCNEzlO51m-P-6zsFDsQJH1S64kdnJg&sa=D&usg=AFQjCNGzxi_8f1jdluvVPAqP3IP_m2rfpg" target="_blank">https://itunes.apple.com/us/app/id960384718</a> Golden Twine: <a href="https://www.google.com/url?q=https://www.google.com/url?q%3Dhttps://itunes.apple.com/us/app/golden-twine/id959788152%26sa%3DD%26usg%3DAFQjCNGNhXxJuvpwbxYB_0ytL-xA_-QdPw&sa=D&usg=AFQjCNE_crjRFA25nZQ4KX4jYvQMeQeXYQ" target="_blank">https://itunes.apple.com/us/app/golden-twine/id959788152</a> Like our Facebook page and follow us on Twitter to receive updates: <a href="https://www.google.com/url?q=https://www.google.com/url?q%3Dhttps://www.facebook.com/animangapluscom%26sa%3DD%26usg%3DAFQjCNE2x0-koCj1BQ1apXEacak475cuOw&sa=D&usg=AFQjCNH3JCDpdg1Z-6MHst9TZS6DUcGxiw" target="_blank">https://www.facebook.com/animangapluscom</a> <a href="https://www.google.com/url?q=https://www.google.com/url?q%3Dhttps://twitter.com/animangaplus%26sa%3DD%26usg%3DAFQjCNHRpXZO9ZG24_X1pz6JVjRMSMQPYw&sa=D&usg=AFQjCNHjRhSHWBPebnFkSj-Nw5VuGTrgbg" target="_blank">https://twitter.com/animangaplus</a> Thanks!!! 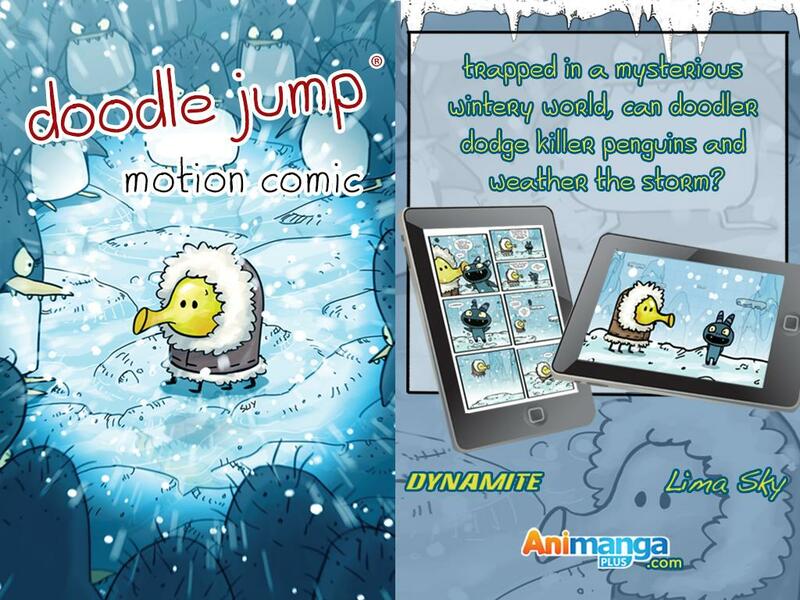  Website: Doodle Jump Motion Comics | AnimangaPLUS Corp.
 Is Doodle Jump Motion Comics yours? Claim it!